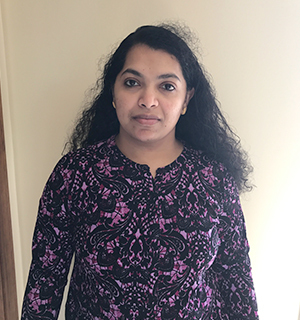 Deepthi Muliyil is working as the Director of IT Services at One team US. She is managing finance and day to day activities at the company. She did her bachelor in Science. She enjoys working with people to organize events and parties. In her free time, she spends time with her friends and family. She lives in the Troy, Michigan with her husband, two children & pet Jack Russell.